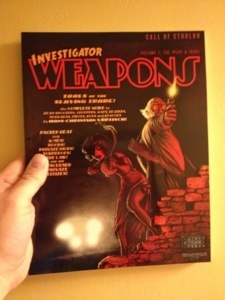 Sixtystone Press has announced that their book Investigator Weapons Vol. 1 is back in print. 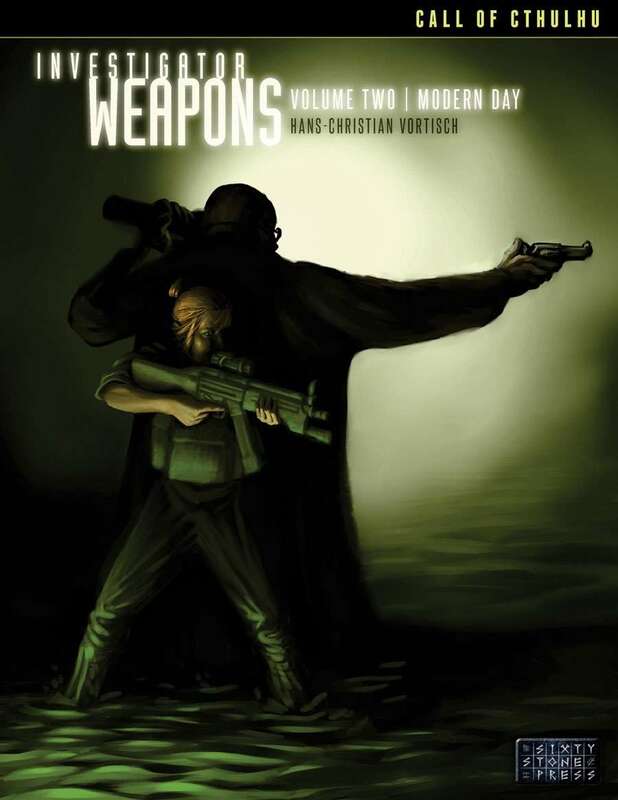 Modiphius have released (to Kickstarter backers only) their next Achtung! Cthulhu book The Guide to the Eastern Front. The Miskatonic University Podcast have released a holding episode to tide you over awaiting the release of their GenCon 2014 video episode. It’s rather unfocused, but if you want to hear Keeper Murph swear like a sailor about Harn, the transit failure that is the Dallas-Fort Worth airport, or a ceaseless wave of rabbit videos, you should check it out. I keep forgetting to highlight a few recent posts by Adam Gauntlett – cremated remains from Jonestown (for Nights Black Agents), on using a werewolf in Bookhounds of London, and on the London Underground. Finally a few reviews – The Black Goat of New Orleans and The Machine King. Whilst at NecronomiCon is had the pleasure of picking up an early version of the Call of Catthulhu. It was an amusing game and I’m glad I picked it up. Now (well, two weeks ago but my attention has been elsewhere) they launched a Kickstarter for a deluxe edition of the game. It’s already reached and exceeded its initial goal, which is lovely. If you want to fight the Mythos as a cat (and now as a dog as well thanks to a stretch goal), check it out.